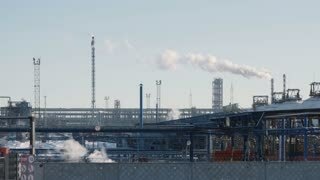 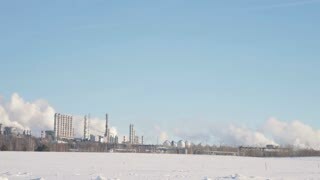 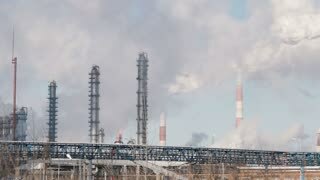 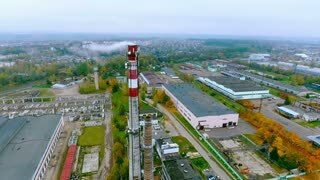 Aerial shooting from flying drone smoke clouds from industrial pipes on chemical plant in city. 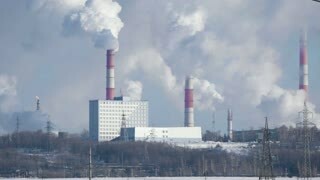 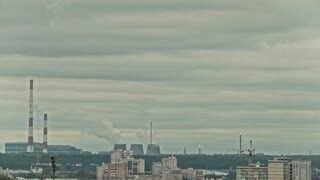 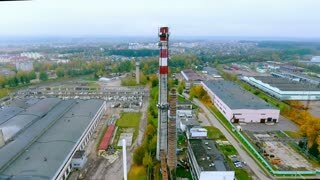 Smoking chimney on heting plant in modern city drone view. 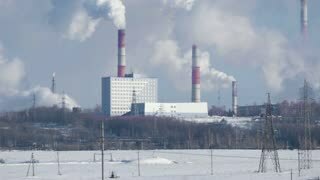 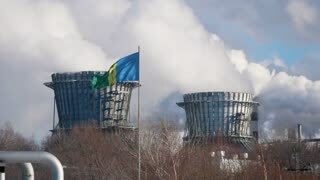 Smoke emission from boiler pipes.